This island, the size of Singapore, lies between Tasmania and the South Pole. Tasmania is the southernmost state of Australia and is one of few places in the world for launching trips to the South Pole. 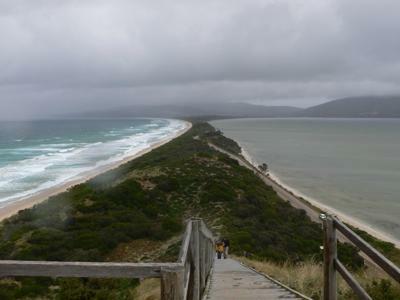 Thank you very much Pat for sharing this beautiful view of Bruny Island. Not many of us would have a chance to see it.